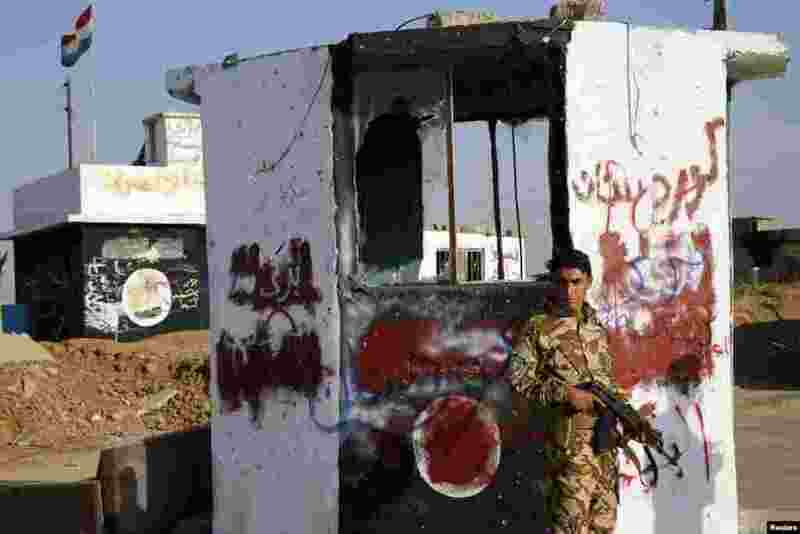 1 A Kurdish Peshmerga fighter stands at a checkpoint retaken from Islamic State militants in Barznki village in Zummar, near Mosul, Sept. 15, 2014. 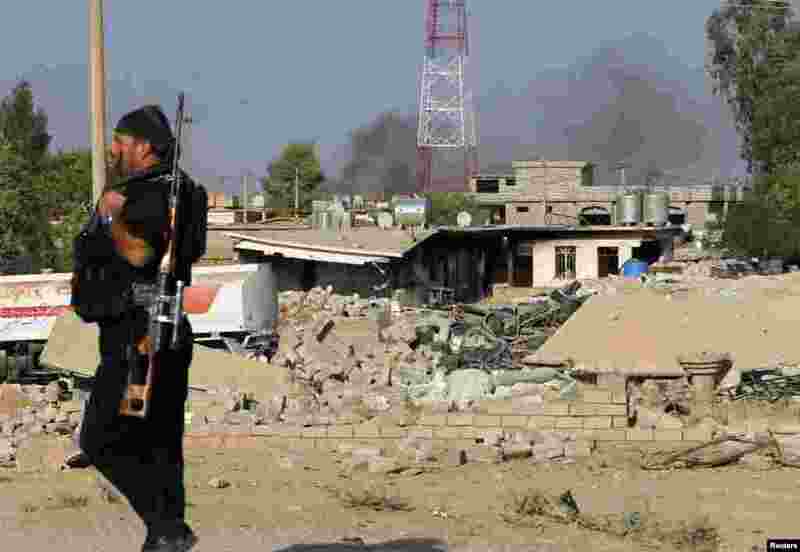 2 A Kurdish Peshmerga fighter walks past a house destroyed by American air strikes at Barznki village believed to be controlled by the Islamic State, near Mosul, Sept. 15, 2014. 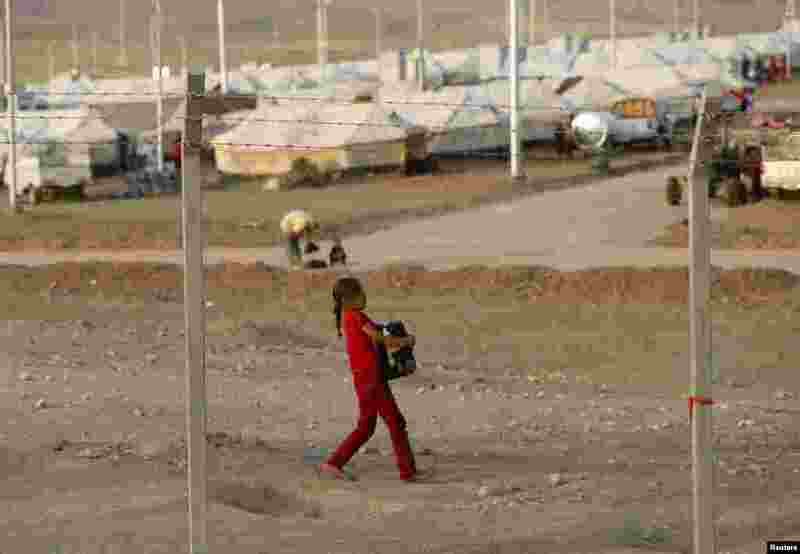 3 A displaced child from the minority Yazidi sect who fled violence in the Iraqi town of Sinjar, carries a jerry can filled with water at Bajed Kadal refugee camp, southwest of Dohuk, Sept. 15, 2014. 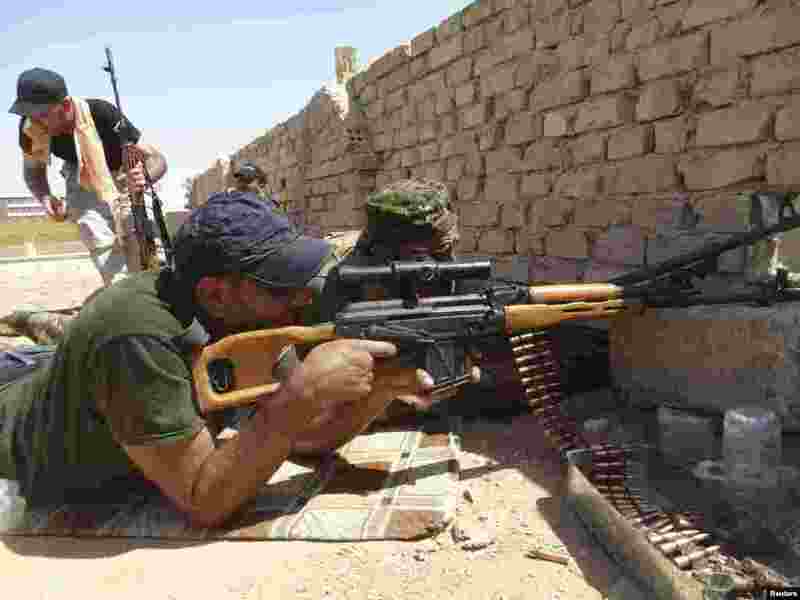 4 Members of Iraqi security forces and tribal fighters patrol the outskirts of the city looking for Islamic State militants, Ramadi, Sept. 14, 2014. 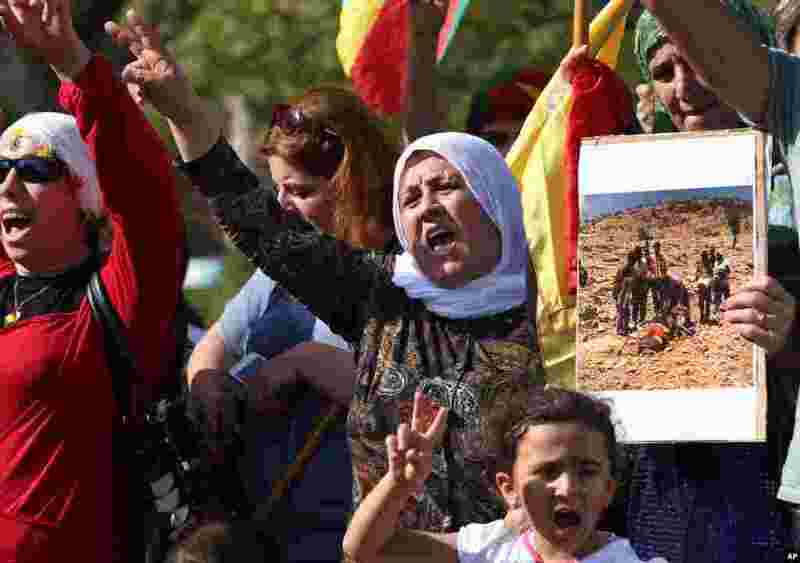 5 Kurdish citizens who live in Lebanon shout slogans during a demonstration against militants who refer to themselves as the Islamic State, in front of the UN building, in downtown Beirut, Lebanon, Sept. 15, 2014. 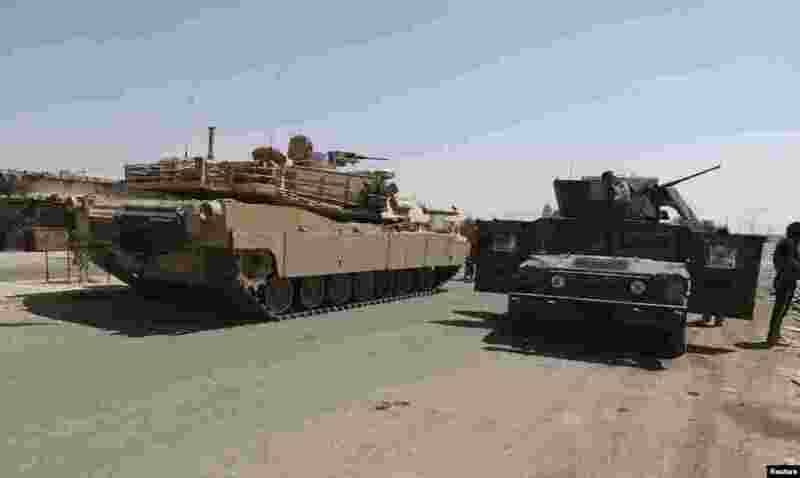 6 A convoy of Iraqi security forces is seen during a patrol for Islamic State militants on the outskirts of Ramadi, Sept. 14, 2014. 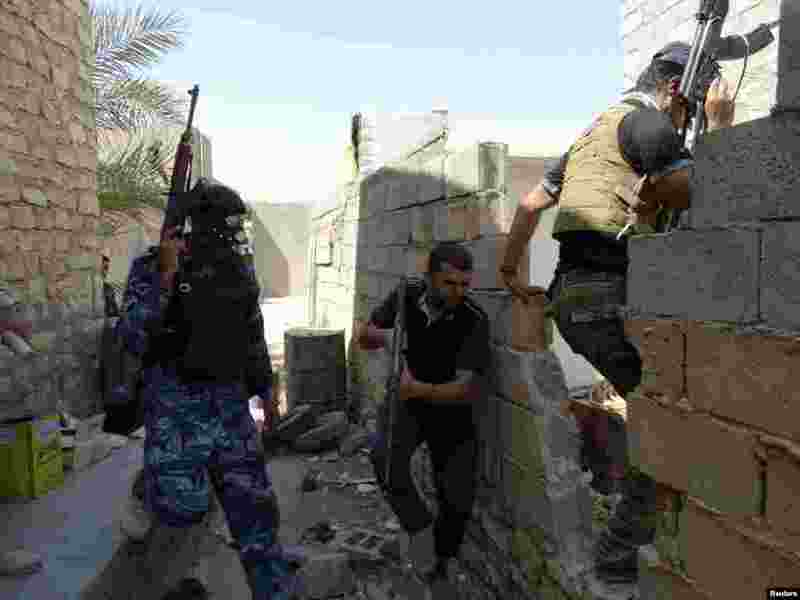 7 Members of Iraqi security forces are seen during a fight with Islamic State militants on the outskirts of Ramadi, Sept. 14, 2014.